If you signed up to bring a side salad for the fourth or are simply looking for a lighter dinner this summer we are sharing a recipe that has been on repeat in our kitchens. Great style isn't limited to your wardrobe and having the right mix of simple ingredients makes healthy eating easy. This recipe was created last minute for an unplanned dinner party. The mix of sweet squash and savory arugula is a fresh combination and pairs well with grilled chicken for a heartier dish...or alone with a cool glass of rosè. Get ready to say goodbye to the heavy BBQ pasta salad of the past, this one may be a crowd pleaser! Heat 3T olive oil in a fry pan with a sprig of rosemary. 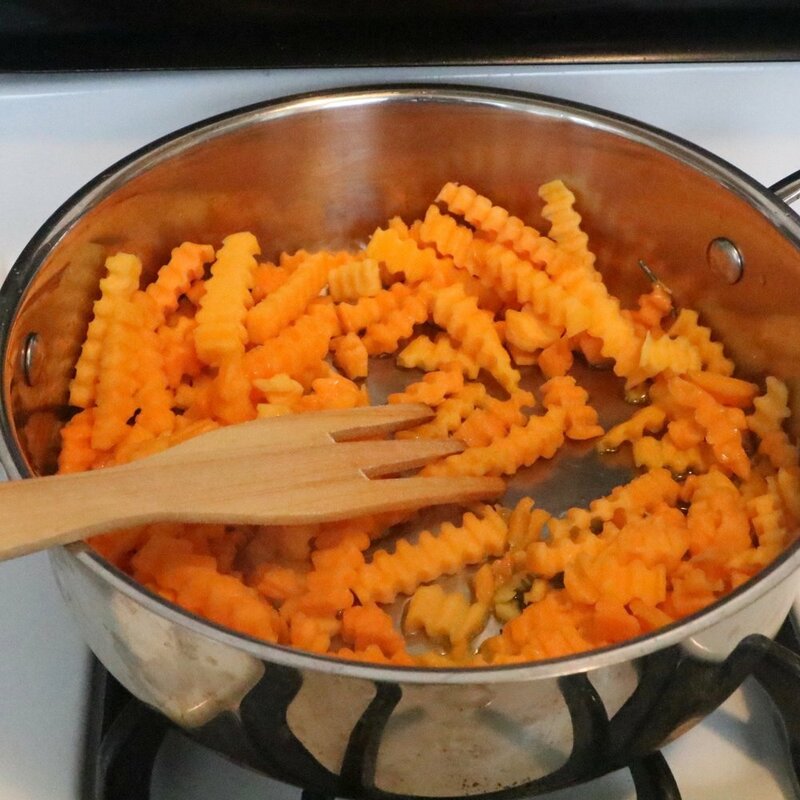 Once the oil is heated add butternut squash pieces and saute until edges are caramelized. Add salt and pepper to butternut squash and 2T of water to the pan. Cover the pan and reduce to low heat until squash is tender, stirring occasionally. Remove rosemary, add pine nuts (lightly toasting) then reserve until step 3. In a separate sauce pan boil salted water and add pasta. Boil on high heat for 2 minutes or until all pasta floats to the top of the pan. Strain out water, drizzle with olive oil and reserve. 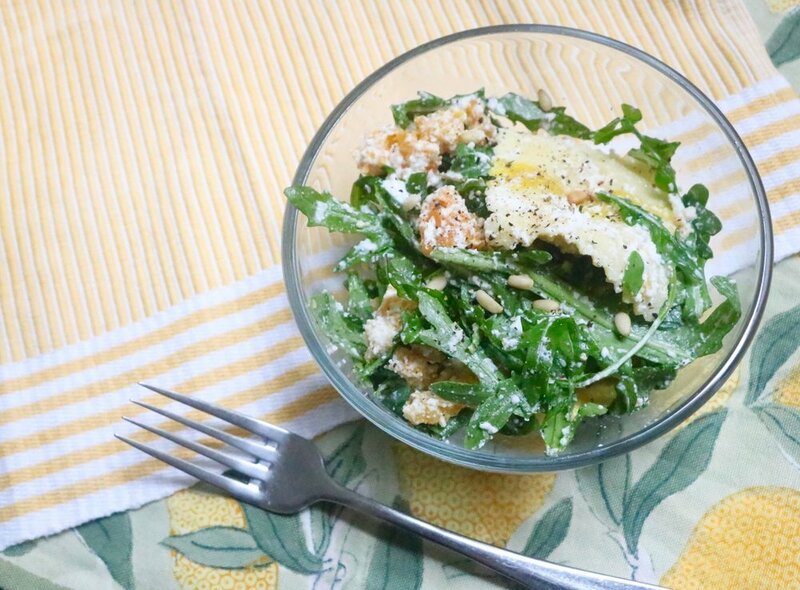 Place three cups of arugula in a mixing bowl and toss in cooked butternut squash and pasta. Add 1/4C ricotta cheese, additional 1T of olive oil and gently stir, taking care to fold in pasta. Add additional salt and pepper to taste. 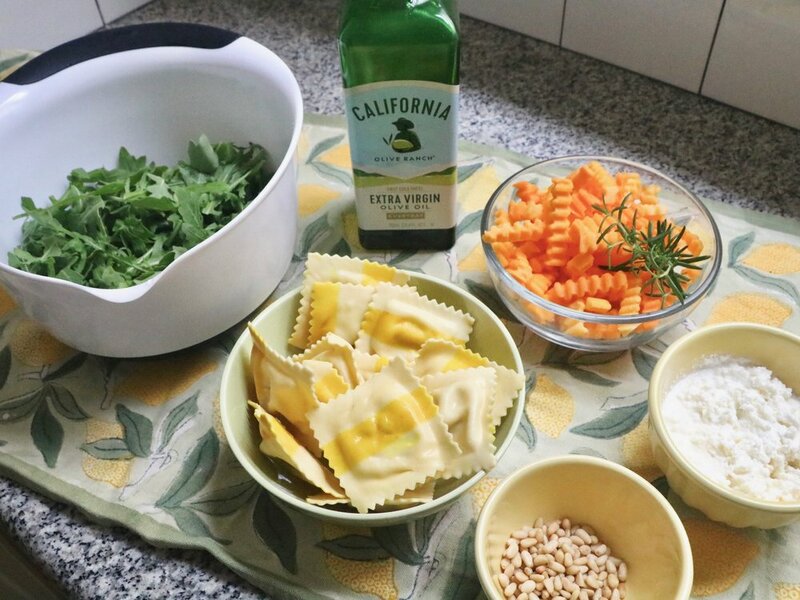 Posted on June 27, 2018 by Kimberly Gant and filed under Stylish Living and tagged Recipes Summer Salad Pasta Salad 4th of July.